Kids Military Force Amphibious Play Set | BUDK.com - Knives & Swords At The Lowest Prices! 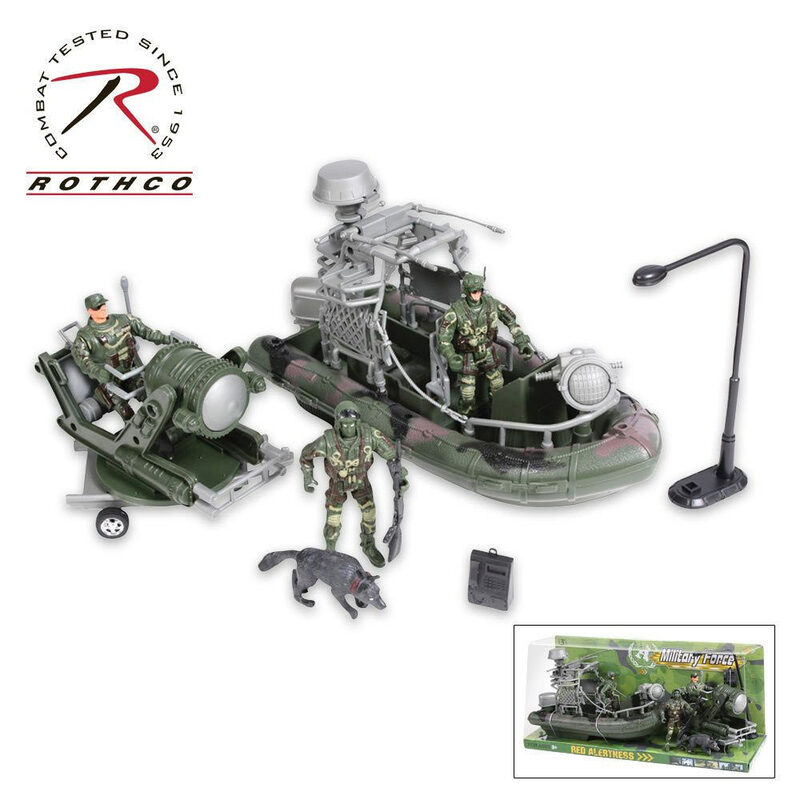 This Military Force Amphibious Play Set includes 3 men, 1-15” helicopter, 1 truck, 1 boat, 2 guns and 2 life preservers. It carries a CE certified symbol on the package and does not require batteries. For ages 3 and over.